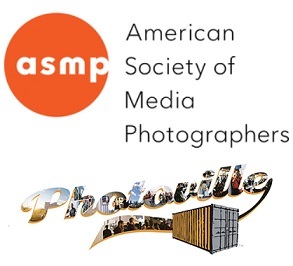 ASMP (American Society of Media Photographers) www.ASMPNY.org and Photoville www.Photoville.com , invite you to participate in our special Portfolio Review event at this year's Photoville photo festival. On Sep 22nd and/or Sep 23rd. •Each photographer will show one portfolio and will have 15 minutes with a reviewer. Please arrive 5 minutes prior to the listed start time and remember your Table #. •A maximum of 2 signups per photographer is allowed and please no doubling up shifts on a reviewer. •No portfolio over 16×20 will be allowed for ease of reviewers. •Printed and digital portfolios are accepted. •Make the packing material easy to get through so as not to slow down the review. Time spent on packing/unpacking is included in your time with a reviewer. • The location will be inside the Photoville Beer Garden / Lawn area. For more tips please visit: How to Survive Your Portfolio Review http://time.com/4279079/how-to-survive-your-portfolio-review from Time magazine. Amy Arbus - www.amyarbus.com - Artist and educator. Frances Jakubek - Head of Exhibitions at Bruce Silverstein Gallery in New York City. Marcel Saba - Founder of Redux Pictures http://www.reduxpictures.com/about . An independent commercial and editorial photo agency based in New York City with photographers located around the world. Sybylla Smith - www.jsybyllasmith.com - International Consultant to Fine Art Photographers, Galleries & Museums. Please email [email protected] if you have any questions, please put "photoville" into the subject line for questions related to the reviews. We hope you enjoy the festival!